The 1,206-unit JadeScape by Qingjian Realty is one of the most anticipated new launches this year. 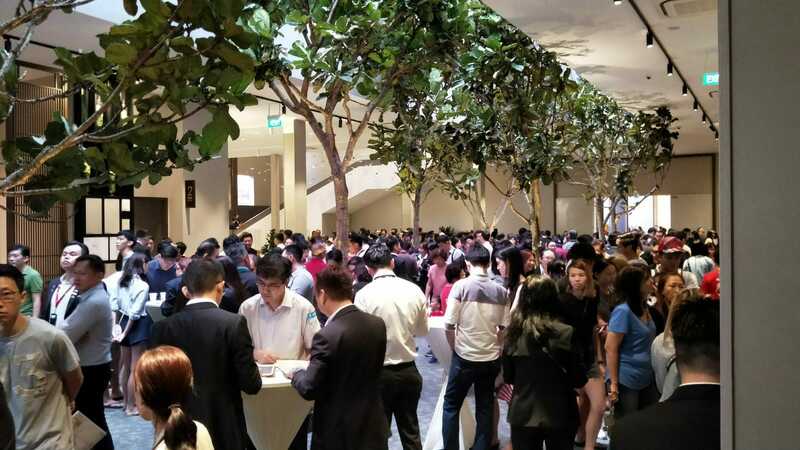 More than 9,000 people showed up at the developer’s sales gallery over the weekend of Sept 8 and 9. JadeScape is a redevelopment of the former Shunfu Ville, which occupied a 398,110 sq ft site at the junction of Marymount Road and Shunfu Road. This is Qingjian’s first redevelopment of a large collective sale site with more than 1,200 units and it wants to make it “a masterpiece” project, says Yen Chong, deputy general manager of Qingjian Realty. With a pipeline of 17 new developments that are expected to add more than 3,500 units to the market in 2H2018, developers are differentiating their projects to attract buyers. Qingjian Realty’s Chong is not overly concerned about the competition. “We are very confident about JadeScape’s concept,” she says. Qingjian has bundled new smarthome features in its hiLife app for its recent developments. It first rolled out the app, which it developed in collaboration with Samsung, in 2015. The app was first introduced at Riversound Residence, Qingjian’s 590- unit condominium in Sengkang, and has since been used in subsequent developments such as the mixed-use Le Quest in Bukit Batok, the 632- unit executive condo The Visionaire in Sembawang and the 497-unit iNz Residence EC in Choa Chu Kang. “When Qingjian first introduced smart-home features, they were ‘good to have’,” says Chong. “Today, they are a ‘must-have’.” She points to all the other new launches this year, which also boast smart-home features. In 2017, Qingjian provided WiFI in the common areas of iNz Residence. Subsequent projects, including JadeScape, will also have common areas that are “internet-ready”.